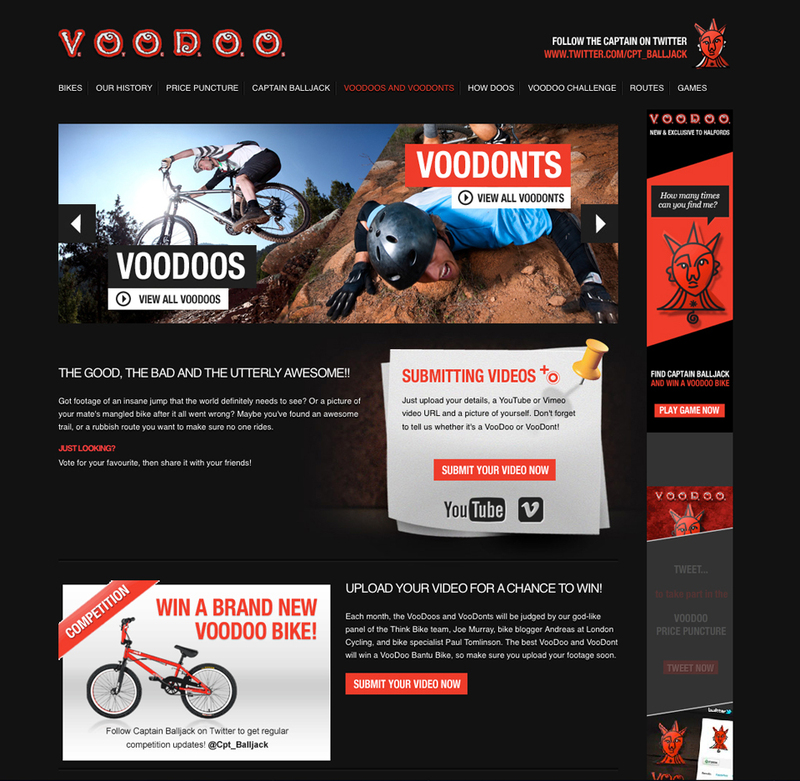 Concept for a Halfords microsite for their Voodoo brand of mountain, BMX and hybrid bikes. The brief whilst working with MadeByPi and Fusion Unlimited was to have fun and get the riders involved. 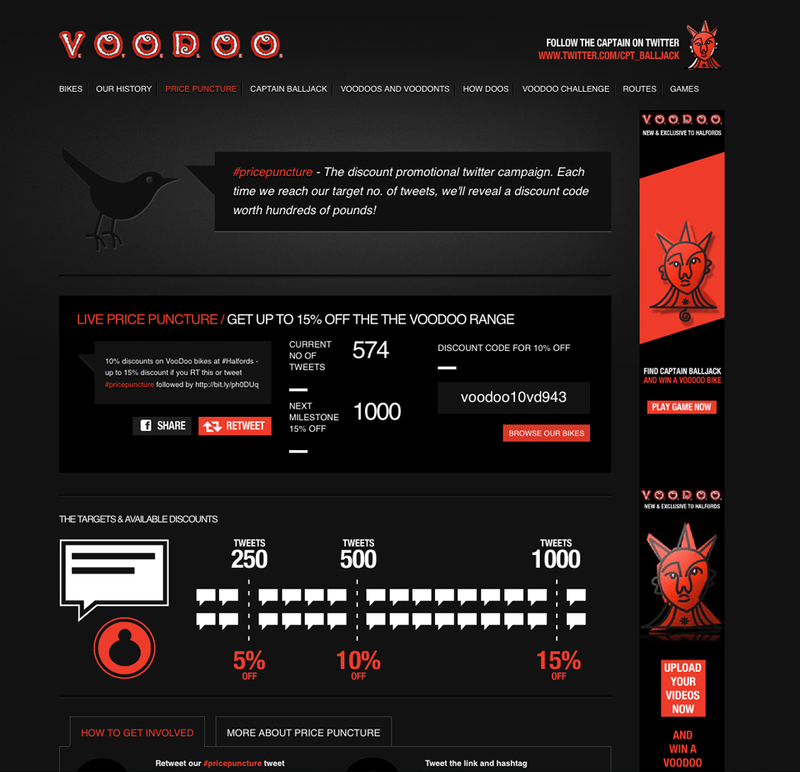 We created an intense site that offered Voodoos and Voodon’t tips, the ability to upload and vote on epic fails, crowd-tweeted ‘Price Puncture’ discounts and Howdoos tips on riding. The good, the bad and the utterly awesome. Got footage of an insane jump that the world definitely needs to see? Or a picture of your mate’s mangled bike after it all went wrong? Maybe you’ve found an awesome trail or a rubbish route you want to make sure no one rides.